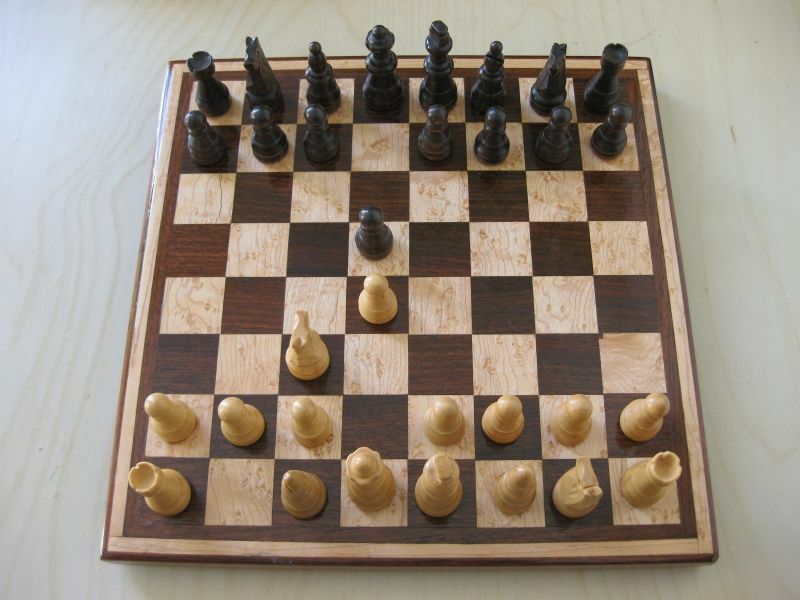 Chess is a 2-player board game based on the concepts and tactics of warfare. It is said to have originated in ancient Egypt and has evolved over time into the game we know today. It is played on an 8 square by 8 square board of alternating colors, referred to as black and white. The game pieces are also either black or white, and each piece moves according to different rules. The object is to capture the other player's King. Checkmate. A game of chess can last minutes, days, months or even years. You must anticipate your opponent, and it never hurts to be merciless. Because the moves can be written down, players can play without being in each others' presence, sometimes over long distances. Chess takes only minutes to learn and a lifetime to master. Often, adults are humbled by children during a game of chess.